DCA 2.0 | Richard M. Hicks Consulting, Inc. 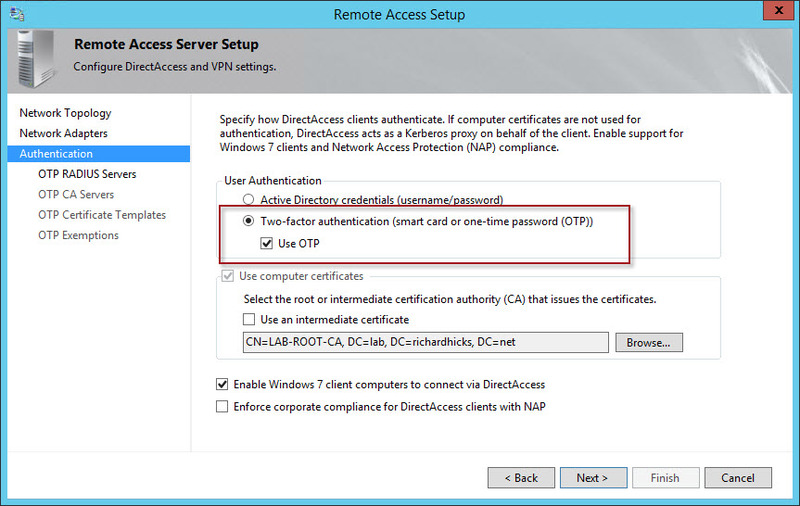 Updated 6/10/2015: This post was revised to include instructions for enabling OTP support for Windows 7 clients and for configuring OTP on the DirectAccess server using the Remote Access Management console. 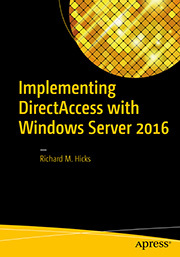 DirectAccess in Windows Server 2012 R2 provides significantly improved authentication over traditional client-based VPN solutions. When configured to use certificate authentication (a recommended best practice) the DirectAccess client is authenticated using its machine certificate and its Active Directory computer account. Once the client machine has been authenticated, the user is also authenticated via Kerberos against a live domain controller over the existing DirectAccess connection. These multiple authentication steps provide a high level of assurance for DirectAccess-connected clients. If that’s not enough to meet your needs, additional strong user authentication is supported using dynamic One-Time Passwords (OTP). While OTP provides an additional level of assurance, it does come with a few drawbacks. OTP adds additional complexity and makes troubleshooting more difficult. OTP cannot be configured with force tunneling; the two security features are mutually exclusive. DirectAccess OTP does not support RADIUS challenge-response. For Windows 7 clients, the DirectAccess Connectivity Assistant (DCA) v2.0 must be deployed. In addition, enabling OTP with DirectAccess disables the use of null cipher suites for IP-HTTPS. This can potentially have a negative effect on performance and scalability (more details here). Also, OTP fundamentally breaks the seamless and transparent nature of DirectAccess. OTP for DirectAccess makes use of short-lived certificates for user authentication. Thus, enabling OTP for DirectAccess requires making changes to the internal Public Key Infrastructure (PKI). 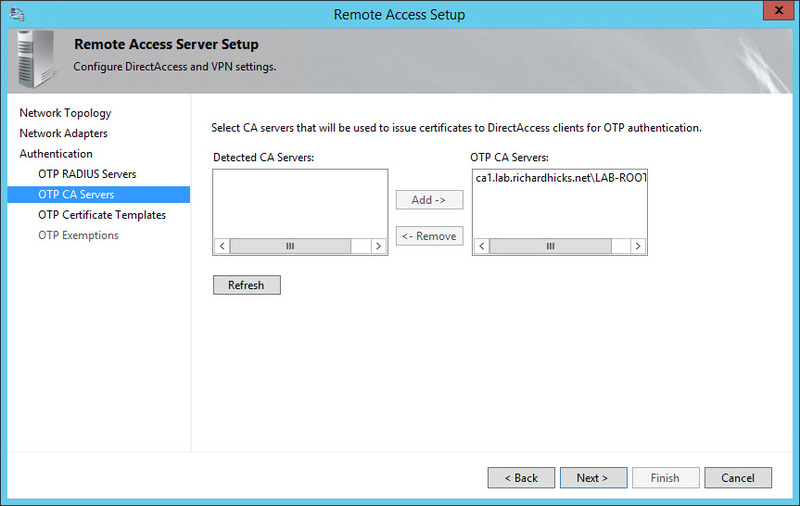 DirectAccess in Windows Server 2012 R2 can be configured to use the same Certificate Authority (CA) that is used to issue computer certificates to the DirectAccess clients and servers. This differs from DirectAccess with Forefront Unified Access Gateway (UAG) 2010, where a separate, dedicated CA was required. To configure DirectAccess OTP, follow the instructions below. Open the Certification Authority management console, right-click Certificate Templates, and then choose Manage. Alternatively you can enter certtmpl.msc in the Start/Run box or search from the Windows Start menu. Right-click the Computer template and choose Duplicate Template. On a Windows Server 2008 or 2008 R2 CA, select Windows Server 2008 Enterprise when prompted for the duplicate certificate template version. On a Windows Server 2012 or 2012 R2 CA, select Compatibility tab and then select Windows Server 2008 R2 for the Certification Authority and Windows 7/Windows Server 2008 R2 for the Certificate recipient. Select the General tab and provide a descriptive name for the Template Display Name. Specify a validity period of 2 days and a renewal period of 1 day. Select the Security tab and click Add. Click Object Types and then select Computers and click Ok. Enter the names of each DirectAccess server separated by semicolons and click Check Names. Click Ok when finished. For each DirectAccess server, grant Read, Enroll, and Autoenroll permissions. Select Authenticated Users and remove any permissions other than Read. Select Domain Computers and remove the Enroll permission. Select Domain Admins and grant Full Control permission. Do the same for Enterprise Admins. Select the Subject Name tab and choose the option to Build from this Active Directory information. Select DNS name in the Subject name format drop-down list and confirm that DNS name is checked under Include this information in alternate subject name. Select the Extensions tab, highlight Application Policies and click Edit. Remove all existing application policies and then click Add and then New. Provide a descriptive name for the new application policy and enter 1.3.6.1.4.1.311.81.1.1 for the Object Identifier. Click Ok for all remaining dialog boxes. In the Certificate Templates Console, right-click the Smartcard Logon certificate template and choose Duplicate Template. On a Windows Server 2008 or 2008 R2 CA, select Windows Server 2008 Enterprise when prompted for the duplicate certificate template version. On a Windows Server 2012 or 2012 R2 CA, select the Compatibility tab and then select Windows Server 2008 R2 for the Certification Authority and Windows 7/Windows Server 2008 R2 for the Certificate recipient. Select the General tab and provide a descriptive name for the Template Display Name. Specify a validity period of 1 hour and a renewal period of 0 hours. Note: It is not possible to set the validity period to hours on a Windows Server 2003 Certificate Authority (CA). As a workaround, use the Certificate Templates snap-in on another system running Windows 7/Windows Server 2008 R2 or later. Also, if the CA is running Windows Server 2008 R2, the template must be configured to use a Renewal Period of 1 or 2 hours and a Validity Period that is longer but no more than 4 hours. Select the Security tab, then highlight Authenticated Users and grant Read and Enroll permissions. Select Domain Admins and grant Full Control permission. Do the same for Enterprise Admins. Select the Subject Name tab and choose the option to Build from this Active Directory information. Select Fully distinguished name in the Subject name format drop-down list and confirm that User principal name (UPN) is checked under Include this information in alternate subject name. Select the Server tab and choose the option Do not store certificates and requests in the CA database. Clear the checkbox next to Do not include revocation information issued in certificates. Select the Issuance Requirements tab and set the value for This number of authorized signatures to 1. Confirm that Application Policy is selected from the Policy type required in signature drop-down list and choose the OTP certificate request signing template created previously. Select the Extensions tab, highlight Application Policies and click Edit. Highlight Client Authentication and click Remove. Ensure that the only application policy listed is Smart Card Logon. In the Certificate Authority management console, right-click Certificate Templates, choose New, and then Certificate Template to Issue. Highlight both of the certificate templates created previously and click Ok. Restart the Certificate Authority service by right-clicking the CA in the Certificate Authority management console and choosing All Tasks and then Stop Service. Once complete, repeat these steps and choose Start Service. In the Remote Access Management console, select DirectAccess and VPN under Configuration in the navigate pane and then click Edit on Step 2 – Remote Access Server. Select Authentication, choose Two-factor authentication (smart card or one-time password (OTP)), and then check the option to Use OTP. Click Next and then add the RADIUS servers that will be used for OTP authentication. Provide the hostname, FQDN, or IP address of the server, the shared secret, and specify the service port. Click Next, select the CA server that will be used to issue certificates to DirectAccess clients for OTP authentication, and then click Add. Note: When performing this step you may receive the following error. If this occurs, close out of the Remote Access Management console and install this hotfix. Click Next and select the certificate templates to be used for the enrollment of certificates that are issued for OTP authentication. Also select a certificate template used to enroll the certificate used by the DirectAccess server to sign OTP certificate enrollment requests. Click Next and specify whether selected DirectAccess users can authenticate with a user name and password when OTP authentication is disabled. If some users need to be exempted from using OTP, specify the security group as required and click Finish. Click Edit on Step 3 – Infrastructure Servers. Select Management and add the CA server used for OTP authentication to the list of management servers. Click Ok and then Finish. Click Finish once more and then apply the changes. When a DirectAccess client is outside of the corporate network and has established DirectAccess connectivity, users can log on to their machine and access their desktop, but they will not be able to access corporate resources without first providing their OTP. For Windows 8 clients, swipe in from the right side of the screen or press Window Key + I and click on the active network connection. The DirectAccess Workplace Connection will indicate that action is needed. Clicking on the Workplace Connection will indicate that credentials are needed. Clicking Continue will prompt the user to press Ctrl+Alt+Delete and provide their OTP. For Windows 7 clients, an alert from the DirectAccess Connectivity Assistant (DCA) in the system tray will indicate that Windows needs your smart card credentials. Clicking on the notification Window will prompt the user to provide their OTP. Alternatively the user can click on the DCA icon in the system tray and then click Lock and unlock your computer with a smartcard or a one-time password. The user will then press CTRL+ALT+DELETE, choose Other Credentials, select One-time password (OTP), and then provide their OTP. Using dynamic, one-time passwords is an effective way to provide the highest level of assurance for remote DirectAccess clients. It does come with some potential drawbacks, so be sure to consider those before implementing OTP. Microsoft recently released a hotfix to resolve an issue where Windows 7 SP1 DirectAccess clients fail to connect to a DirectAccess server with the IP-HTTPS IPv6 transition protocol and using One-Time Password (OTP) authentication via the DirectAccess Connectivity Assistant (DCA) 2.0. In this scenario you may receive an HTTP 403 error from the DirectAccess server in response to the certificate signing requests and a 0x80040001 error after entering the OTP. You can learn more about the hotfix for DCA 2.0 on Windows 7 SP1 and download the associated hotfix here. 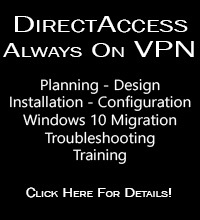 When DirectAccess first appeared as a feature in Windows Server 2008 R2, one of the challenges was determining quickly and easily if a DirectAccess client had successfully established remote network connectivity, and more importantly if that connection was unsuccessful or had dropped for any reason. 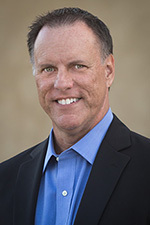 To address this issue, Microsoft released the DirectAccess Connectivity Assistant (DCA) version 1.0, first introduced in February of 2010 as part of the Windows Optimized Desktop Toolkit. It has been updated a number of times since its initial release, and in Windows 8 the DCA functionality is now part of the base operating system. The DCA is helpful from a diagnostic and troubleshooting perspective, as it provides an intuitive visual indicator for DirectAccess connectivity status. More importantly, the DCA is required to support One-Time Passwords (OTP). As of this writing, the latest version of the DCA is version 2.0, which can be downloaded here. 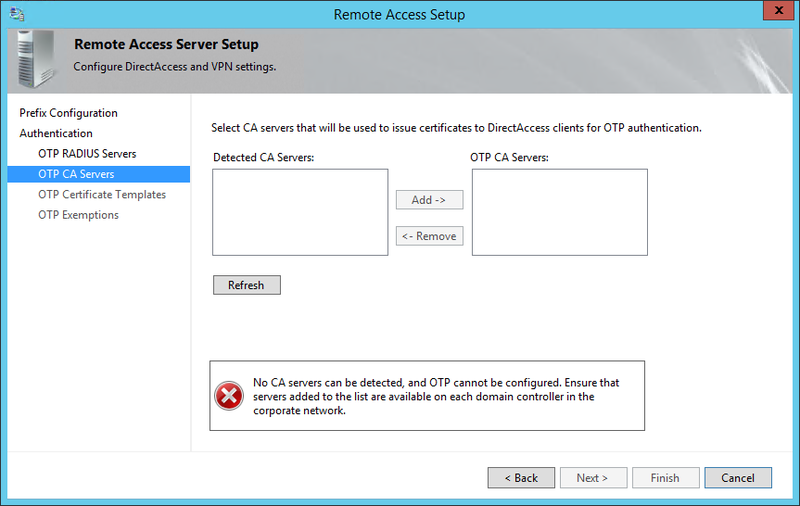 DCA 1.0 and 1.5 are both supported with Windows Server 2012 DirectAccess, unless you need to provide support for OTP, which of course will require DCA 2.0. It is possible to perform an in-place upgrade from DCA 1.5, but if you’ve deployed DCA 1.0 you’ll have to uninstall prior to installing DCA 2.0. It’s important to understand that DCA 2.0 is explicitly NOT supported with Windows Server 2008 R2 DirectAccess or Server 2008R2/Forefront UAG DirectAccess. In addition, the DCA 2.0 MSI installation package can be deployed automatically using Active Directory Group Policy, System Center Configuration Manager, or any other third-party software distribution tool. To install and configure DCA 2.0 on your Windows 7 DirectAccess clients, download DCA 2.0 and extract all of the files, then run the either the 32 bit or 64 bit version of the MSI on the client, depending on your operating system. The settings for the DCA are managed exclusively with group policy, so once you’ve installed DCA 2.0 on the client, log on to a domain controller and copy the file DirectAccess_Connectivity_Assistant_2_0_GP.admx to the C:\Windows\PolicyDefinitions folder. In addition, copy the file DirectAccess_Connectivity_Assistant_2_0_GP.adml to the C:\Windows\PolicyDefinitions\en-US folder. Next open the Group Policy Management Console and create a new Group Policy Object (GPO) for your Windows 7 DCA settings. Right-click the GPO and choose Edit. In the Group Policy Management Editor expand Computer Configuration, Policies, and Administrative Templates and then highlight DirectAccess Connectivity Assistant. Double-click Support Email, select the option to enable the setting and enter an e-mail address. This setting is optional, but is required if you want to allow your remote DirectAccess users to e-mail client logs to a helpdesk administrator. …and note the entries for DTE1 and DTE2. Copy these addresses to the GPO setting using the syntax PING:<DTE_IPv6_Address>. Click Next Setting to configure LocalNamesOn. This setting is optional, and when enabled will allow the DirectAccess client to use local name resolution, which effectively disables DirectAccess connectivity on the client side. Click Next Setting to configure Corporate Resources. Select the option to enable the setting and click Show. This setting enables a health check from the DirectAccess client to this resource to determine if the DirectAccess tunnels are up and that corporate network access connectivity is indeed working correctly. You can use ping, UNC file path, or an HTTP URL. I prefer to use the HTTP method as it seems to be the most reliable. Any internal web server will work, but keep in mind that if it is unavailable for any reason the DCA will indicate that network connectivity is not available when in fact it is working correctly. For that reason I’d suggest selecting a highly available (load balanced) internal web server if possible. DO NOT use the network location server (NLS) for this connectivity check. The syntax for this setting is HTTP:<internal_webserver_URL>. It is also recommended that you use the server’s FQDN when configuring this setting. You can also specify an IPv6 address, but an IPv4 address will not work. Click Next Setting to configure the Admin Script Location. This setting is optional and used only if you want to run a custom script on the Windows 7 DirectAccess client to gather additional information used for troubleshooting. Once complete, right-click WMI Filters in the Group Policy Management Console and choose New. Provide a descriptive name for the new WMI filter and click Add. Enter the following WMI query and click Ok.
select * from Win32_OperatingSystem where Version like "6.1%"
Finally, edit the Security Filtering for this GPO by removing Authenticated Users and adding the DirectAccess client security group. In addition, link the GPO to the WMI filter for Windows 7 clients. Once complete, link the GPO to the domain. 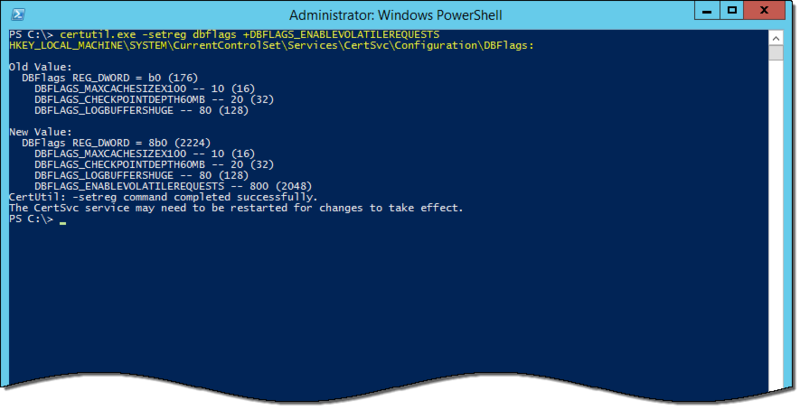 After you’ve completed the DCA group policy settings, refresh group policy configuration on the client by issuing a gpupdate /force command from an elevated command prompt. The DCA should now indicate that corporate network connectivity is working correctly.